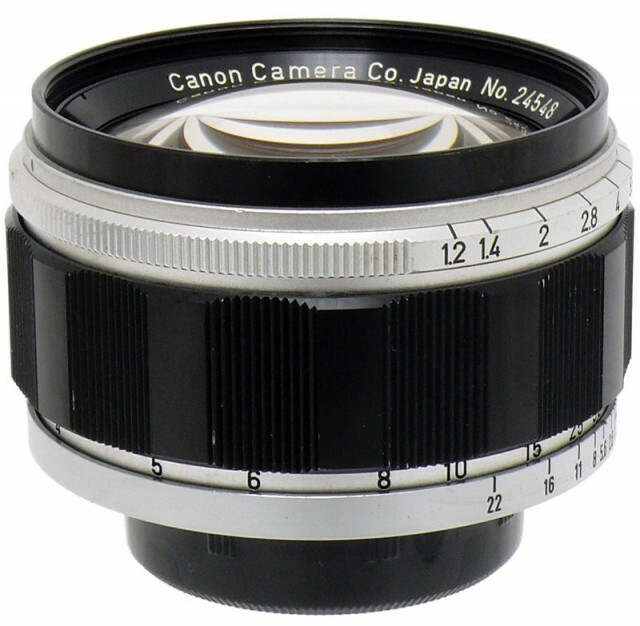 Very few lenses faster that f:1.5 are able to give the photographer perfectly sharp definition. 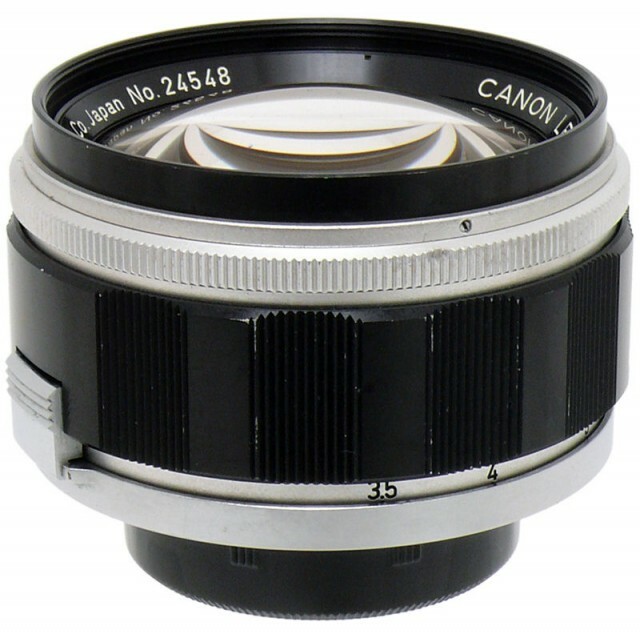 Normally, resolution and absence of vignetting must be sacrificed for speed. 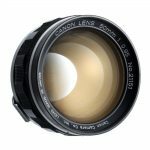 After several years of development, Canon produced a lens that surpassed the resolution qualities of many commercial lenses with a wide open aperture of 1:2. 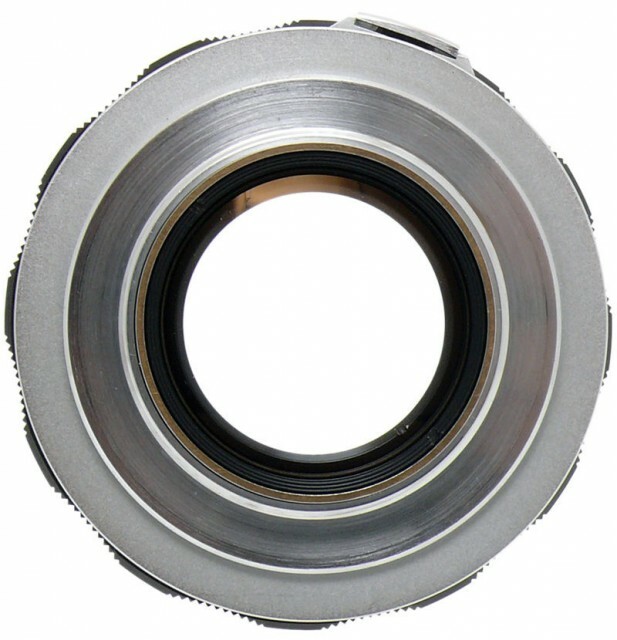 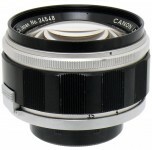 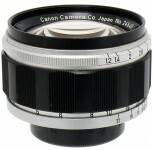 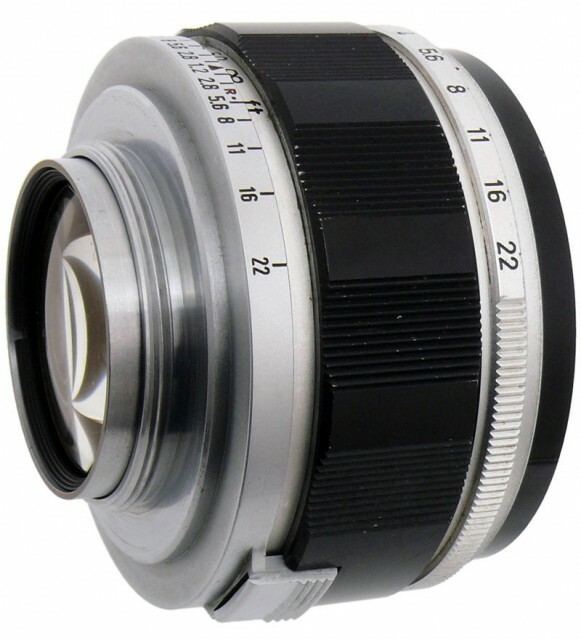 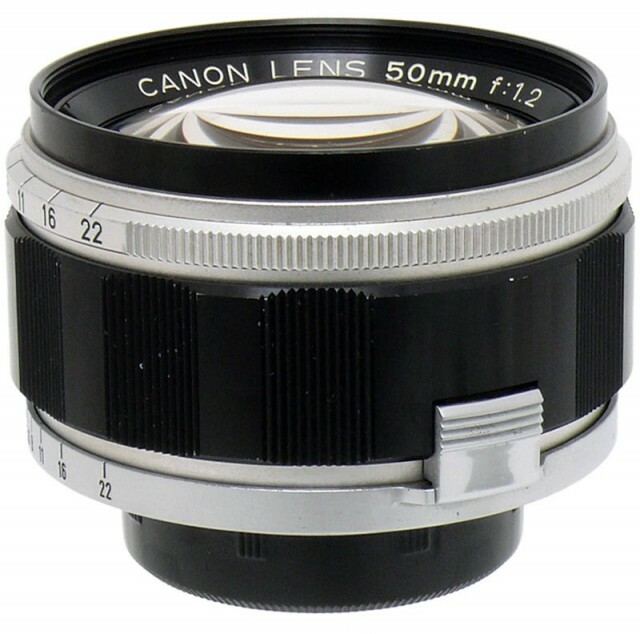 This remarkable lens is based on the design of the Canon 50mm f:1.8 but it has seven Gauss-type elements instead of six. The overall diameter of the lens is considerably greater than the 50mm f:1.8 which is one way of increasing the brilliance of this lens. 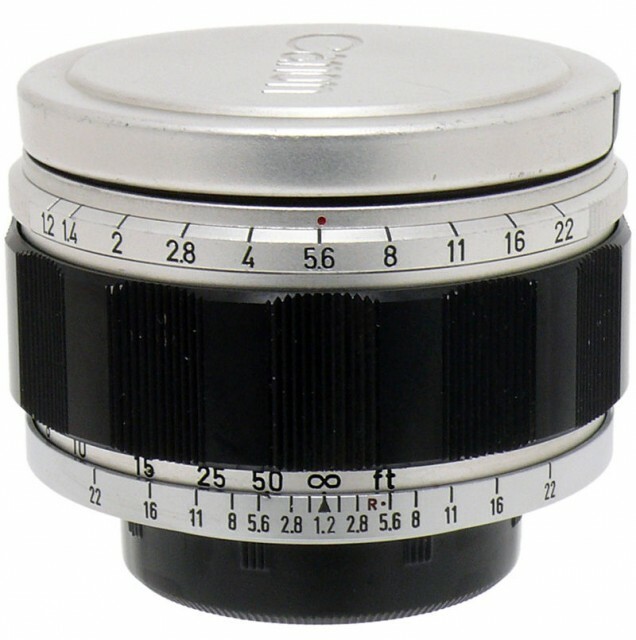 In addition, the very new rare-earth compounds were used to give added qualities of resolution and color correction. 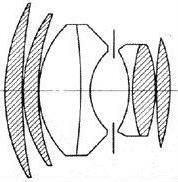 These new high-refraction types of glass reduced aberrations almost completely, not only in the center of the lens, but to the very extremities of the field even with the lens wide open. 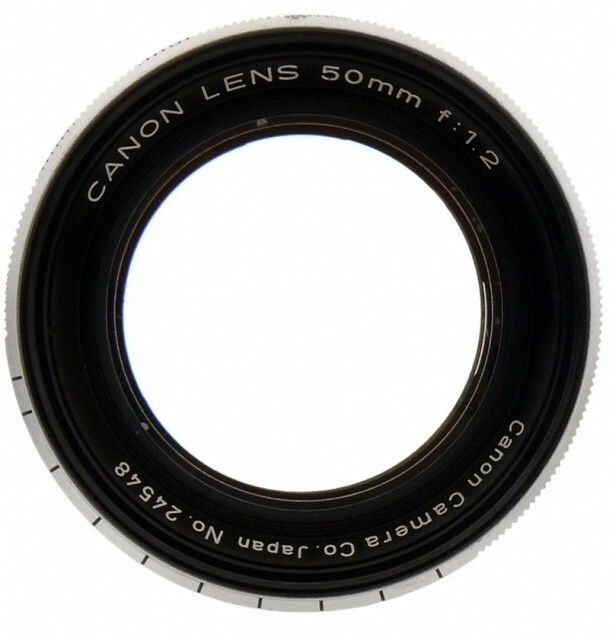 This lens unquestionably revolutionized available-light photography.